The ORRC manages all human participant research studies at Howard University and provides support to two Institutional Review Boards (IRB): The Medical IRB and the Non-medical IRB. The ORRC maintains the University’s IRB’s policies, guidelines, and procedures involving research with human participants. ORRC staff is available to provide guidance and education on research involving human participants to the Howard research community and the community at large. ORRC staff is available to assist with any questions, concerns, and needs regarding human research studies. Please contact us at (202) 865-8597 or theorrc@howard.edu. Howard University IRBs (Medical and Non-Medical IRB Committees) review and provide oversight for all research involving human participants at Howard University and operate in compliance with the regulations of the U.S. Department of Health and Human Services Office of Human Research Protections for the protection of human research participants, including 45 CFR 46, 21 CFR 50, and 21 CFR 56, which govern human participant research as amended to include the Common Rule (FR 56, No. 117,28002). 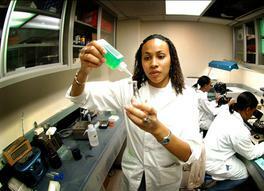 The IRBs are thereby authorized to inspect any Howard University research facility and to obtain records of and observe the consent process for any research study, suspend or terminate research, or take any action it deems necessary to ensure compliance with federal and University policies and regulations. The Medical IRB Committee is generally charged with reviewing research applications that originate in the Health Sciences division along with research protocols that involve medical procedures, devices, and drugs. The Non-Medical Committee typically reviews those research applications that orginate from the Academic Affairs division along with research protocols that are generally socio-behavioral in scope. Each Committee is comprised of faculty members from across the various disciplines at the University. Each Committee also have at least two members who are not affiliated with Howard University. Associate Professor, Clinical & Admin.